Held annually during the first two weeks of June, the Mandel Center’s Curt C. and Else Silberman Seminar for Faculty is endowed by the Curt C. and Else Silberman Foundation in memory of Curt C. and Else Silberman. The foundation supports programs in higher education that promote, protect, and strengthen Jewish values in democracy, human rights, ethical leadership, and cultural pluralism. Participant response to the seminars has been enthusiastic and positive. The 2018 seminar, co-lead by Wolf Gruner, Evelynn Hammonds, and Clarence Walker, explored the similarities, differences, and gray zones of racial theory and practice in Germany and the United States in the first half of the 20th century, paying special attention to how these practices sharply diverged as Nazi antisemitic policies turned into widespread, state sanctioned murder and genocide in the 1940s. The 2017 seminar, led by Rachel Deblinger and Paul Jaskot, deepened participants' knowledge about the Holocaust and Digital Humanities. Lectures, discussions, and hands-on lab time allowed participants' to use Museum resources, both documentary and electronic, to learn how to create assignments for students and to imagine new ways to approach their own work. The 2016 seminar, taught by Alexandra Garbarini and Mark Roseman, addressed the rich and diverse responses to persecution of Jews and Jewish victims, inside and outside of Europe, from 1933 and into the postwar period. This seminar explored a variety of source bases and curricular and pedagogical approaches. It focused in part on the Museum-produced series, Jewish Responses to Persecution (completed in 2015), while also including new perspectives on traditional materials presented in the Holocaust Studies classroom. The 2015 seminar, taught by Peter Hayes, deepened participants’ understanding of why and how the Holocaust occurred; introduced them to contemporary reflections on its aftermath and aftereffects; and equiped them with the knowledge base and pedagogical techniques required to address the most frequently asked questions (and misconceptions) raised by students as well as the fundamental issues that should concern students most. The 2014 seminar presented some of the latest scholarly findings on the Holocaust in the Soviet Union and provided an overview of the ideological aims and tactics used in “the East.” The seminar also examined the Soviet Jewish communities and culture prior to World War II and the relations between Jews and other Soviet nationalities within the context of modern Russian history and the impact of the Stalinist regime. Jeffrey Veidlinger and Lynne Viola led the seminar. The 2013 seminar strengthened participants’ backgrounds in Holocaust history and provided a firm scholarly grounding for Holocaust courses. The seminar consisted of presentations on the history of antisemitism and the Holocaust, participant-facilitated discussions on classroom teaching methods, and roundtable discussions on teaching strategies across multiple disciplines. Presentations and discussions included an overview of Holocaust history and topics, as well as new research findings for participants to incorporate into their course syllabi. The 2012 seminar deepened participants’ understanding of the Holocaust through the perspective of gender by exploring and comparing the points of convergence and divergence between male and female experiences in a variety of circumstances, including early persecution, refugee life, concentration camp life, life in hiding, separation and reunion of families, and survival in the postwar era. Through an interdisciplinary lens that combines historical, literary, archival, and visual sources, participants analyzed the experiences of gays and lesbians; how gendered perspective is reflected in Holocaust diaries, memoirs, and art; the gendered experiences of perpetrators and their postwar representation; and other topics. The 2011 seminar explored Jewish responses to persecution through an investigation of both primary and secondary source readings. It included presentations, participant-facilitated discussions of classroom teaching methods, and roundtable discussions of teaching strategies across multiple disciplines. The 2010 seminar explored Jewish responses to persecution through an investigation of both primary and secondary source readings. It included presentations, participant-facilitated discussions of classroom teaching methods, and roundtable discussions of teaching strategies across multiple disciplines. The 2009 seminar deepened participants’ understanding of why and how the Holocaust occurred; introduced them to contemporary reflections on its aftermath and aftereffects; and equipped them with the knowledge base and pedagogical techniques required to address the most frequently asked questions (and misconceptions) raised by students as well as the fundamental issues that should concern students most. 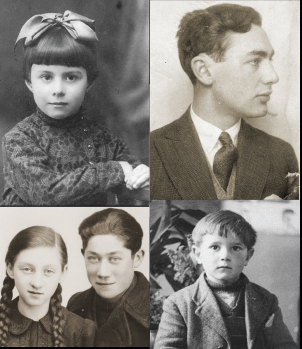 Over two thirds of the Jews who perished at the hands of the Nazis and their allies lived within the borders of prewar Poland, Lithuania, and Ukraine. The 2008 seminar focused on the Holocaust in this region; the current public debate on the involvement of their citizens in the perpetration of the Holocaust; and the complex issues of memory, memorialization, and remembrance. It was led by Professor Antony Polonsky, Albert Abramson Chair of Holocaust Studies at Brandeis University and a specialist on the history and culture of the Jews of East Central Europe and the history of the Holocaust. The 2007 seminar was designed for US law faculty teaching or preparing to teach courses on constitutional and international law and related legal field. Designed to strengthen participants’ knowledge of the impact of the Holocaust on the development of domestic and international law, the seminar featured sessions led by Theodor Meron, Judge of the Appeals Chamber of the United Nations International Criminal Tribunals, The Hague, Netherlands; Dinah Shelton, Patricia Roberts Harris Professor of Law at the George Washington University Law School; and Henry Friedlander, Professor Emeritus of History in the Department of Judaic Studies at Brooklyn College, City University of New York. Topics included the co-opting and corrupting of the German legal system during the Holocaust; the independence of the judiciary and judicial ethics; minority rights; property, reparations, and restitution issues; domestic legal actions against perpetrators, including denaturalization, deportation, and lustration; the Nuremberg International Military Tribunal and subsequent national and international trials; continuity and change since 1945 in international human rights law and international criminal law; transitional justice today; hate speech prohibitions; and genocide denial and the law. Twenty-one faculty from colleges and universities in nine US states and Canada participated in the 2006 Silberman Seminar. The co-leaders of the seminar were Mark Roseman, Pat M. Glazer Professor of Jewish History at Indiana University, and Dr. Juergen Matthaeus, Senior Research Scholar in the Museum’s Center for Advanced Holocaust Studies. The seminar schedule included presentations on the history of the Holocaust; participant-facilitated discussions on classroom teaching methods; and roundtable discussions on teaching strategies across multiple disciplines. Presentations and discussions covered such topics as Holocaust testimony; studies of perpetrators, collaborators, bystanders, and victims; individual/collective trauma; comparative violence/genocide; gender roles; and antisemitism. The 2005 seminar was designed to (1) examine recent developments in Holocaust-based research in the social sciences and (2) review approaches for incorporating Holocaust history into college/university-level teaching. Discussions included such topics as individual/collective trauma, perpetrator-victim-bystander studies, inter-ethnic relations, comparative violence/genocide, gender roles, and the influence of antisemitism. Professors Christopher R. Browning, James Waller, and Jane Caplan led the seminar. Dr. Browning, an internationally recognized leader in the field of Holocaust studies, is Frank Porter Graham Professor of History at the University of North Carolina-Chapel Hill and the Center’s 2002–2003 Ina Levine Scholar. Dr. Waller is Professor of Psychology and Edward B. Lindaman Chair of the Psychology Department at Whitworth College in Spokane, Washington, and was a participant in the Center’s 1999 Summer Seminar on Teaching the Holocaust, taught by Raul Hilberg, and the 2005 Summer Research Workshop on Interpreting Testimony. Dr. Caplan is University Lecturer in Modern History and Fellow of St. Antony’s College at the University of Oxford and participated in the Center’s 2005 Summer Research Workshop on Gender and the Holocaust. The 2004 seminar was designed to (1) explore the power of using primary sources to respond to critical questions about the Holocaust, (2) closely examine subject areas where this approach is especially appropriate, and (3) identify effective pedagogical approaches to employing Holocaust-era documentation in the classroom. Professor Peter Longerich and Dr. Wendy Lower led the seminar. Dr. Longerich is Professor of Modern German History at Royal Holloway, University of London and Director of the University’s Research Centre for the Holocaust and Twentieth Century History. He was the 2003–2004 J. B. and Maurice C. Shapiro Senior Scholar in Residence at the Museum. His breadth of knowledge concerning Nazi policy and the origins of the “Final Solution” is reflected in his numerous publications and has been widely consulted. Most recently, he was the primary document expert for the defense in the libel trial brought by Holocaust-denier David Irving against Deborah Lipstadt and Penguin Books. Dr. Lower is Assistant Professor of History at Towson University and has taught on Nazi Germany and the Holocaust at American University and Georgetown University. She commands in-depth knowledge of the Museum’s archival collections, oral histories, films, and photo archives; was a principle architect of the Center’s developing multivolume publication series, Archives of the Holocaust; and is a published specialist on the Holocaust in the Ukraine. The 2003 seminar focused on key issues such as the methods and importance of employing Holocaust-related fiction and poetry in English and literature courses; the ways in which the history and memory of the Holocaust are transmitted in literature; the public reception of those transmissions; the relationship between oral testimony and literature; and the potentially therapeutic value of using literature to confront the emotional trauma left behind after the genocide. Professors Geoffrey H. Hartman, Sterling Professor Emeritus of English and Comparative Literature, and Project Director, Fortunoff Video Archive for Holocaust Testimonies, at Yale University, in New Haven, Connecticut; Sara R. Horowitz, Associate Professor of English, Division of Humanities, and Associate Director, Centre for Jewish Studies, at York University, in Toronto, Ontario; and R. Clifton Spargo, Assistant Professor of English at Marquette University in Milwaukee, Wisconsin, led the seminar. The 2002 seminar focused on key issues such as decision making and genocide; perpetrator motivation; the Holocaust as it relates to other genocides; uses of oral testimony, literature, fiction, and documentaries in the classroom; and commemoration. Professor Omer Bartov, the John P. Birkelund Distinguished Professor of European History in the Department of History at Brown University and author of Hitler’s Army: Soldiers, Nazis, and War in the Third Reich; Mirrors of Destruction: War, Genocide, and Modern Identity; and Murder in Our Midst: The Holocaust, Industrial Killing, and Representation, led the seminar. Professor John K. Roth, the Russell K. Pitzer Professor of Philosophy at Claremont McKenna College, led the Center’s the 2001 seminar, designed for professors of philosophy, religion, or ethics. The seminar focused on such questions as: Why were ethical traditions ineffective in preventing the Holocaust? Are there ethical implications and lessons that emerge from the Holocaust? 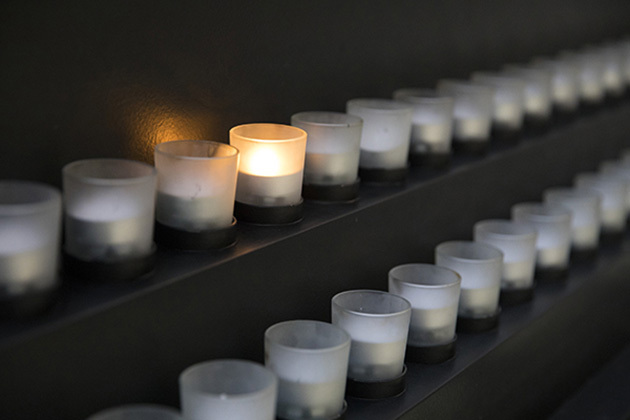 How can study of the Holocaust best be included in ethical reflection? What do philosophy and religious studies contribute to Holocaust studies, and how can Holocaust studies help to define the tasks of philosophy and religious studies? Professor Richard Breitman of the Department of History at American University led the 2000 seminar. Dr. Breitman is the author of What the Nazis Planned, What the British and Americans Knew and The Architect of Genocide: Himmler and the Final Solution. Sixteen faculty members from as many institutions participated in this intensive, two week program from. Sign up to receive future program announcements from the Mandel Center.